"Another top-class duo, Cyrname and Politologue, also face off in the 2m5 Betfair Ascot Chase (Grade 1), a competitive race with plenty of quality. According to Paul the yard is split on which horse can beat the other!" After the equine flu enforced delay to UK racing there's a mammoth day of racing at Ascot on Saturday with nine races to enjoy. In our video Paul talks through the major runners at the meeting and adds a couple from Haydock and Wincanton as a bonus! Darling Maltaix goes in the 2m3 Handicap Hurdle and Paul thinks this course winner can go close. 'Good solid jumper' Coup De Pinceau runs in the Reynoldstown 2m7 Novice Chase (Grade 2) and this reliable sort will run his race. Will that be good enough for the win, however? 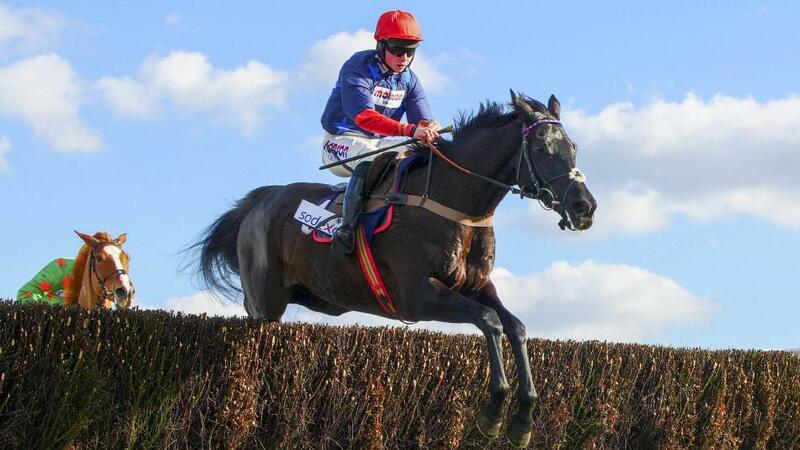 High-quality chaser Black Corton is entered in the 2m7 Handicap Chase (Listed). This Ascot lover is in good shape and Paul thinks that this limited handicap will suit the horse. Watch the video to find out why. Gold Cup contender Clan Des Obeaux goes in the rescheduled Betfair Denman Chase (Grade 2). This is a prep run for next month's Cheltenham mission, and there's no Native River to oppose in the field. Two of the yard's best, Getaway Trump and Mont Des Avaloirs, face off in the 2m Betfair Hurdle. Get Paul's thoughts on the pair in the video. Another top-class duo, Cyrname and Politologue, also face off in the 2m5 Betfair Ascot Chase (Grade 1), a competitive race with plenty of quality. According to Paul the yard is split on which horse can beat the other! A place in the first six is the goal for Silver Forever in the EBF Qualifier Mares Bumper. As a bonus, Paul wraps up with his horses to watch from Haydock where If You Say Run takes on fellow Mare's and Quel Destin has a prep race for the Triumph Hurdle. Finally, Paul talks us through his horses to watch from Wincanton where Magic Saint and Grand Sancy are in action.